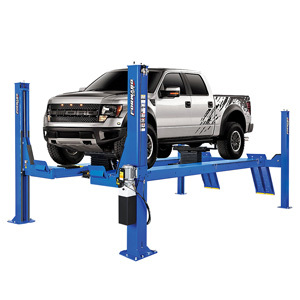 Forward Lift - 4 Post Alignment Lift - 18,000 lb. Lifting Capacity - Gary Bloom Sales, Inc. The CRA18 is 18,000 lbs. 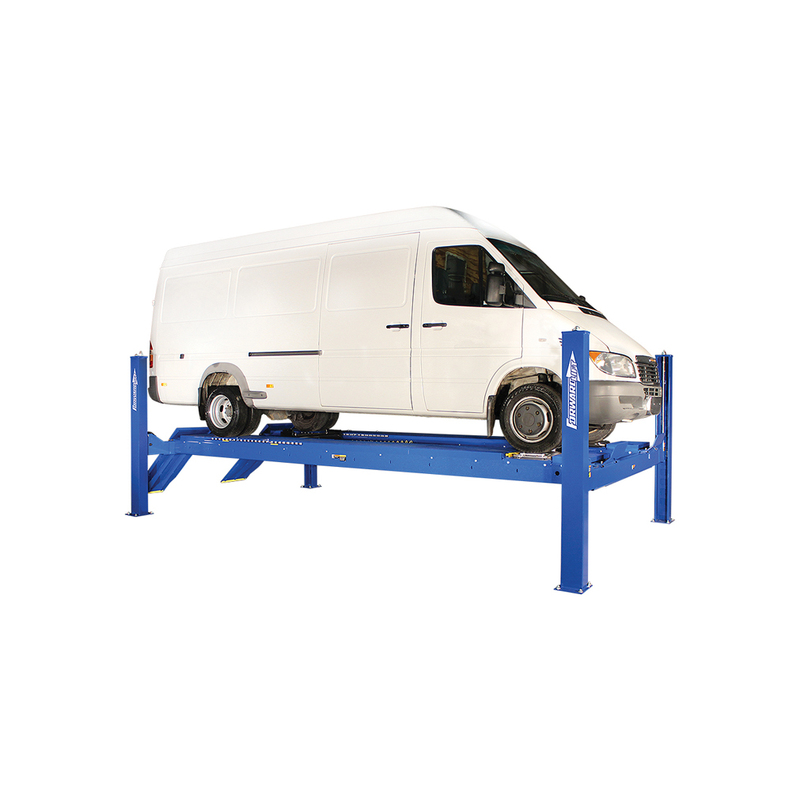 capacity 4 post heavy duty alignment lift. 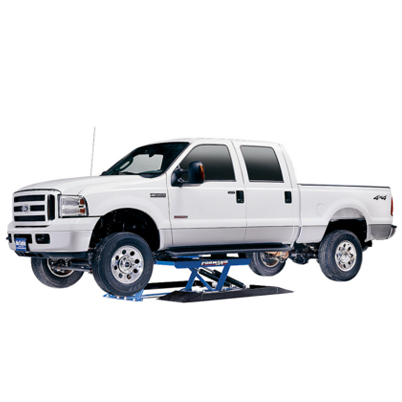 A very versatile drive-on lift able to service cars, trucks, and everything in between. Forward Lift products are engineered to perform and built to last. Forward’s U.S. engineers have over 29 years of combined experience designing automotive lifts for service and repair shops. Forward’s philosophy is to own our designs rather than use someone else’s off the shelf product. 21st century design tools allow us to create, control and validate our designs to ensure maximum performance. Forward lifts are rigorously tested to meet quality and durability standards. All product families are proof load tested to 1½ times rated capacity and rigorously cycle tested. ** Optional 3-phase electrical available. 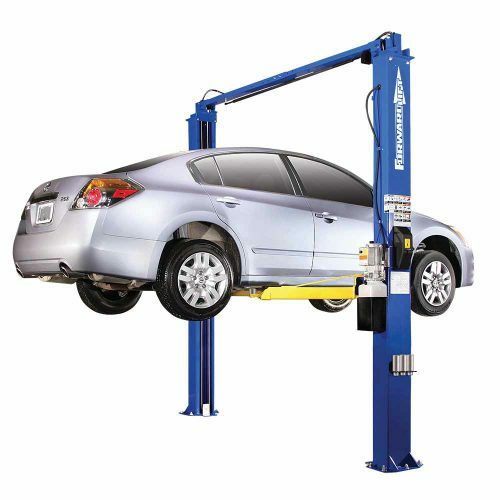 Alignment lifts come standard with two 9,000 lbs. capacity rolling jacks. 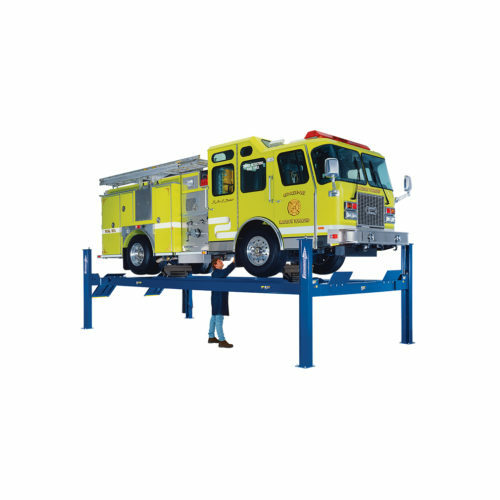 Alignment lifts come standard with two carbon steel turning radius gauges – roll back bar allows the gauges to be placed in the front or back of the slot while keeping a flat runway surface.